French breakfast with some additions was OK for us. Room properly equipped with good lighting and storage space. Bath in the bathroom. After having stayed at a half dozen places around France, we were so pleasantly surprised by the old fashioned, unassuming, quiet and comfortable facility. While the place is old and may not suit modern tastes of today, we liked it! It was like stepping into a Poirot mystery with old class charm. To our delight, there was a lift. 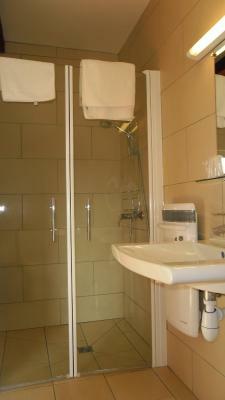 The bathroom was a godsend! 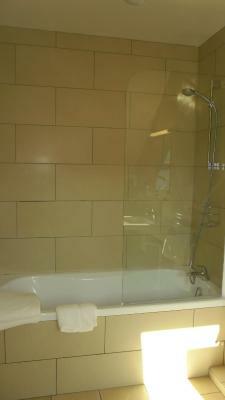 Finally a shower large enough where we could move around in! We also appreciated the quiet; the hotel is set a bit out of the center of town. But best of all, the food was excellent. Our petit dejeuner the next morning even included homemade yogurt! Comfortable and welcoming, the Matre De went the extra mile to make us feel welcome. Excellent restaurant and food. Great for the money. Room / bathroom clean, spacious and comfortable. WiFi not working. Food very good. Room very good and clean. Pity no kettle for tea-coffee. This was regular clean well run hotel. There were no problems with parking. Supermarche is nearby. 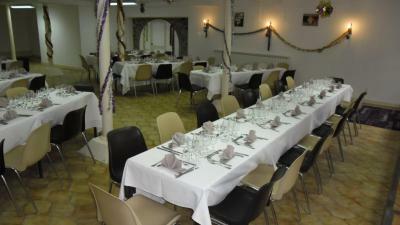 There was a bar for residents and the evening meal was delicious and well presented. 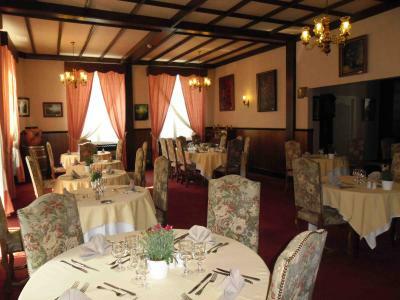 The dining room was quirky - like a very old fashioned hotel from the 1920s. 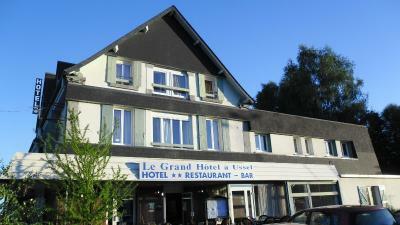 Le Grand Hotel à Ussel is located in the Correze region of France. It is well known for its charming streets and countryside. 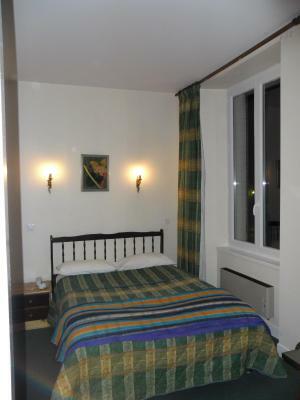 The hotel offers comfortable accommodations and a brasserie. 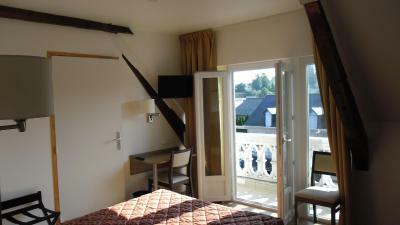 All the rooms at Le Grand Hotel are equipped with private bathrooms, a telephone and a TV. Guests have access to free Wi-Fi. 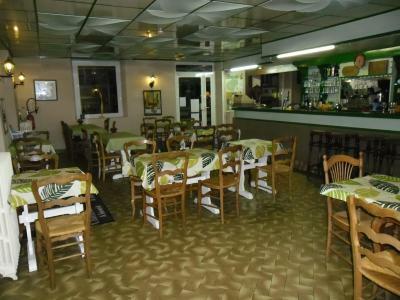 The hotel restaurant serves traditional and regional gastronomic cuisine. 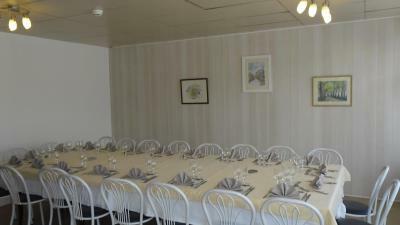 Meals are served in the dining room. The station at Ussel is within walking distance of Le Grand Hotel à Ussel and Clermont-Ferrand is only 1 hour away by car. This property also has one of the top-rated locations in Ussel! Guests are happier about it compared to other properties in the area. This property is also rated for the best value in Ussel! Guests are getting more for their money when compared to other properties in this city. When would you like to stay at Le Grand Hôtel à Ussel? House Rules Le Grand Hôtel à Ussel takes special requests – add in the next step! Le Grand Hôtel à Ussel accepts these cards and reserves the right to temporarily hold an amount prior to arrival. The room was cold in very icy weather; the room had a bath but the water was only lukewarm so I was disappointed and felt cold going to bed. Luckily there was an extra blanket! The dining room was so quiet. I'd suggest a little background music for a bit more atmosphere. Maybe something from the 20's? Hotel is situated in a not very impressive part of town. Pervading smell of toilets on the ground floor. Attitude of owner. Welcome could have been more friendly and not so professional. Wifi was absent. As a matter of fact it was presented (open access by the way), but none of our devises (tablet PC, two smartphones and a notebook) failed o establish connections. The host was rude enough to say that this was not his problem but that of us and our devices. The room was tired and in need of smartening up. The corridor had a musty smell, and the whole place was dilapidated. In the evening there seemed to only be one member of staff to sign guests in , serve behind the bar, and waitress in the dining room. The breakfast was sparse, and the server had to act as hotel receptionist at the same time, with people needing to check out while she was cutting bread, for example. No WiFi. It's mean was but 3 device's (android, iPhone and PC)was unable to connect.